Ryerson Aboriginal Student Services (RASS) will start using dried tobacco grown by the university for ceremonial and traditional purposes. 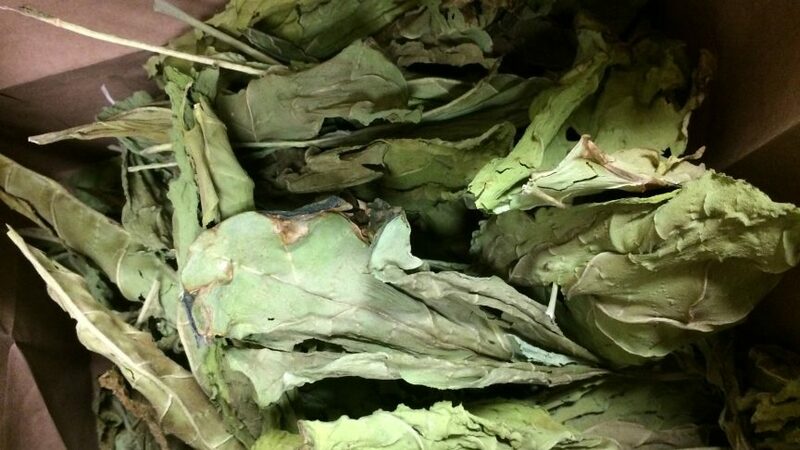 Tobacco is used as a sacred medicine among many Indigenous communities. The tobacco is being grown at Ryerson’s Urban Farm, which is found on the roof of the George Vari Engineering and Computing Centre. This year, the tobacco leaves have been dried, and will be used for traditional practices such as tobacco ties and smudging. Norton notes that traditional tobacco is hard to come by in the city, so in the past they’ve usually bought commercial rolling tobacco. Since the Urban Farm’s tobacco wasn’t grown or manufactured for commercial purposes, it’s considered to be traditional tobacco. Jayne Miles, operations coordinator at the Urban Farm, says they use tobacco as a voluntary plant to help their garden’s surrounding vegetables grow. Unlike the vegetables, which the farm grows with the intent to sell, their tobacco is not for profit. Because of the winter season, they’ll continue to grow tobacco come the spring. This year, the tobacco grown at the Urban Farm has only been used by the Ryerson School of Journalism (RSJ). Joyce Smith, an associate professor who’ll teach the course “Reporting on Indigenous Issues” in the winter semester, has made it available to students who are using it for tobacco offerings. A tobacco offering, which can come in the form of a tobacco tie when it’s wrapped in a cloth and ribbon, is a reciprocal gift that’s commonly given to Indigenous knowledge keepers and elders. It’s in exchange for the time they’re making to pass on information. Smith wanted tobacco offerings to be available to journalism students to open opportunities to properly report on Indigenous communities. Even though some journalistic practices teach reporters to not offer or accept gifts from their sources to remain unbiased, a tobacco offering is a “sign of respect,” says Duncan McCue, an Ojibwa CBC reporter. 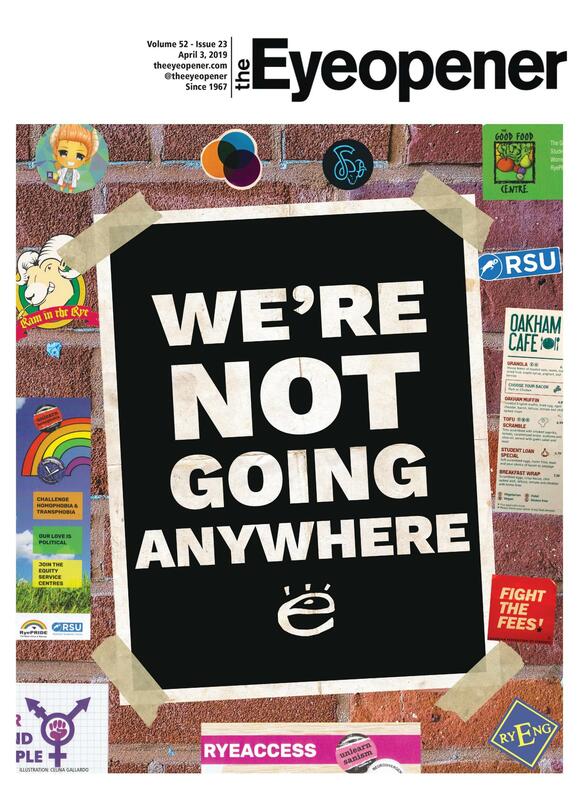 The RSJ’s initiative also takes away a financial burden for students (a pack of drum-rolling tobacco costs around $30 at the local 7-Eleven), while providing them with the necessary resources for their reporting. Norton says that because RASS is under resourced in terms of active employees, it’s good that the RSJ is a place where students can access information on Indigenous communities. “We need to all be part of the reconciliation process,” says Smith, noting that the school was founded by Egerton Ryerson, an instrumental member in founding Canada’s residential school system. In January 2018, the university published its Truth and Reconciliation Report community consultation. Moving forward, Norton wants Ryerson to have a garden that grows all four sacred medicines in tobacco, cedar, sweetgrass and sage. Olson Crow, a Métis and Haudenosaunee student who is part of Indigenous Students Rising, says that when the school was in talks about removing its Egerton statue, a medicine garden was brought up as a potential replacement. With plans for the Urban Farm to receive another space in 2019 in the Daphne Cockwell building, Miles says that they’re “open to collaboration,” but finding space will continue to be an issue.